For the past 18 days now I’ve been on a “no dairy, no sugar (natural or artificial), no grain” challenge with my dragon boat team. So I thought to take advantage of the summer season, I wanted to go strawberry picking. I remember fondly, strawberry picking as a child with my mom – bringing home baskets of fresh berries for her homemade jams! 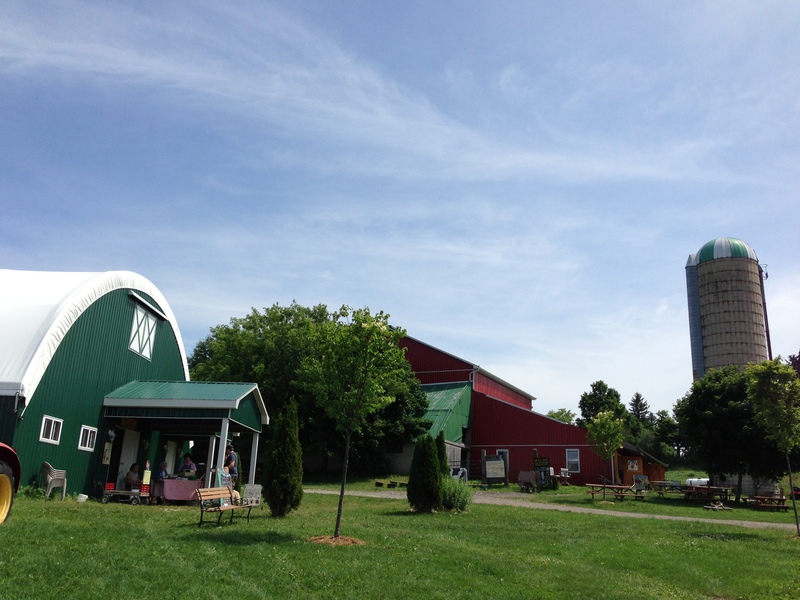 Last weekend, along with my colleague S and her family we went to Forsythe Family Farms located north-east of Toronto. It was my first time at this farm and the strawberry field looked small but boy, was it full of ripe, juicy strawberries right for the picking. 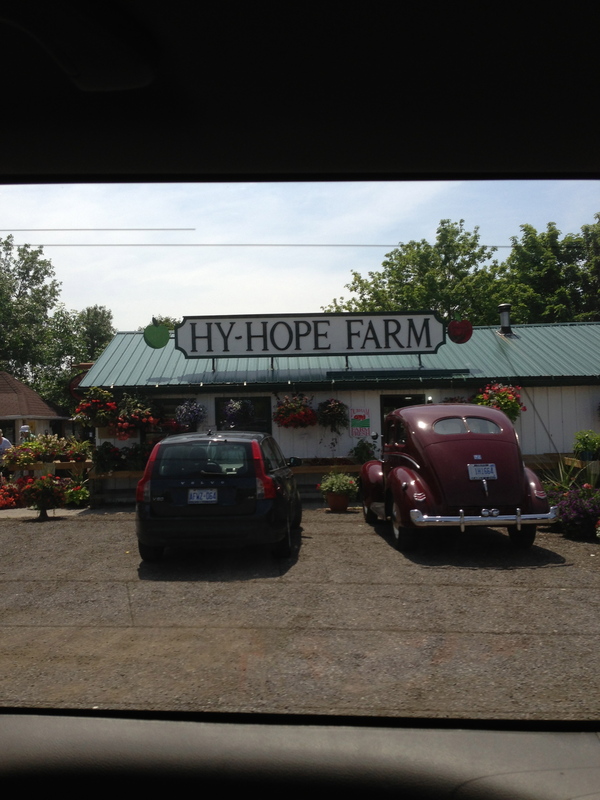 We then stopped by a local farmer’s market shop, Hy-Hope Farms, on the way back home that specialized in homemade pickles, salsas, jellies and preserves. I picked up a jar of Green Tomato Chow (like a relish) and a jar of Red Pepper Jelly (perfect on top of cheese and crackers)! 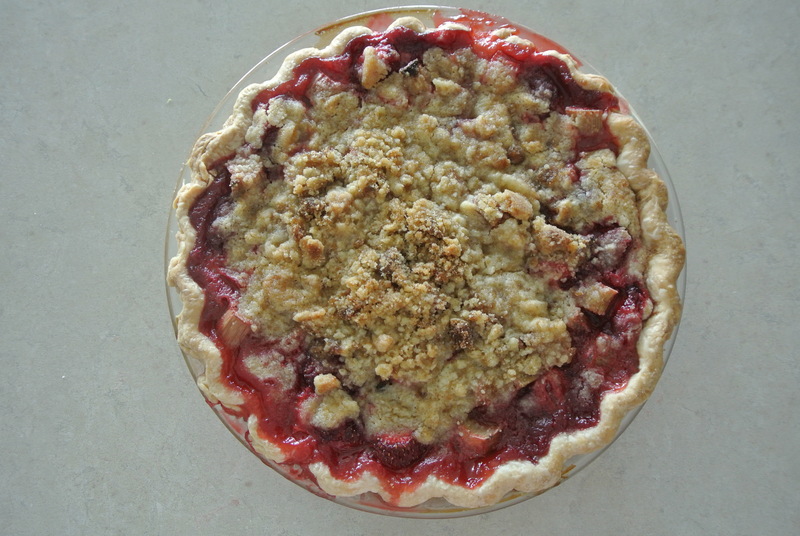 With my fresh produce in hand (including fresh cut rhubarb from S’s garden), I decided to bake from scratch, a strawberry rhubarb crumble pie to take to a Canada Day BBQ! Everything just tastes so much better straight from the farm! 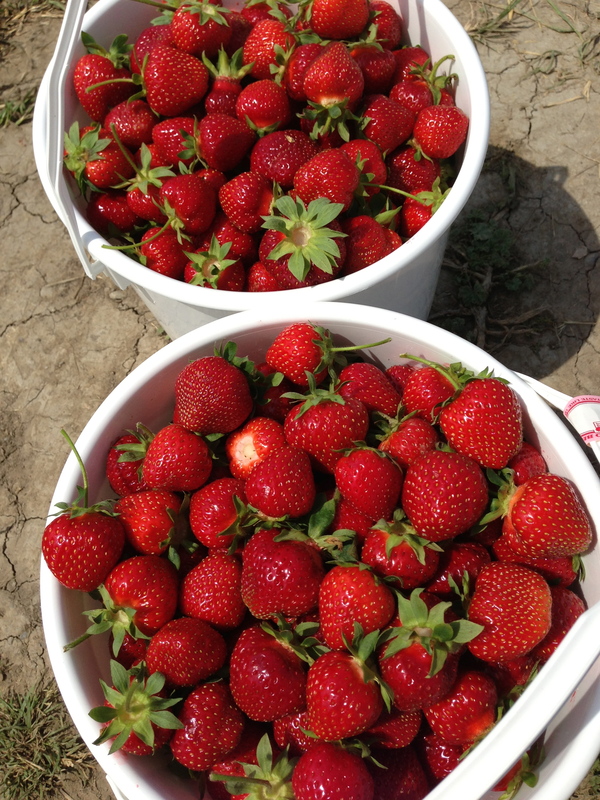 My pickings for the morning – 2 whole buckets of ripe strawberries. 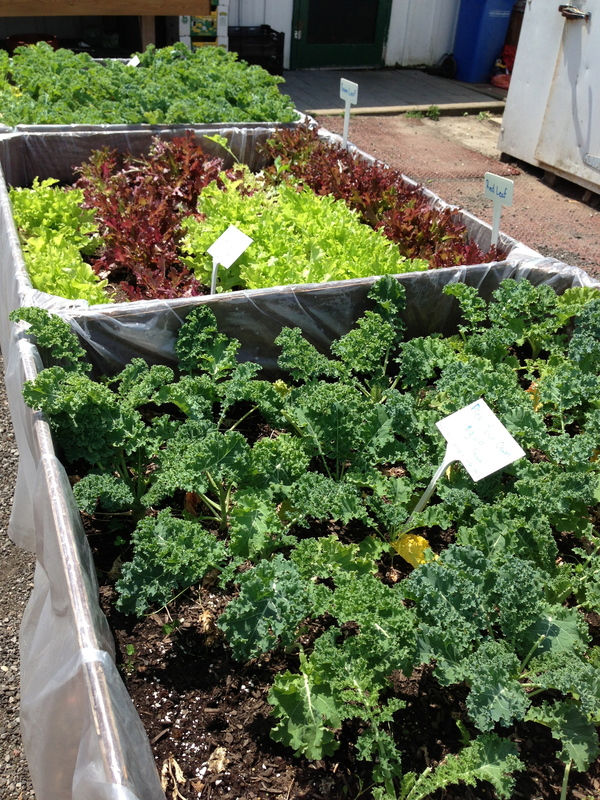 Pick your own lettuce and kale at Hy-Hope Farms! Fill a bag as much as you can for only $3! 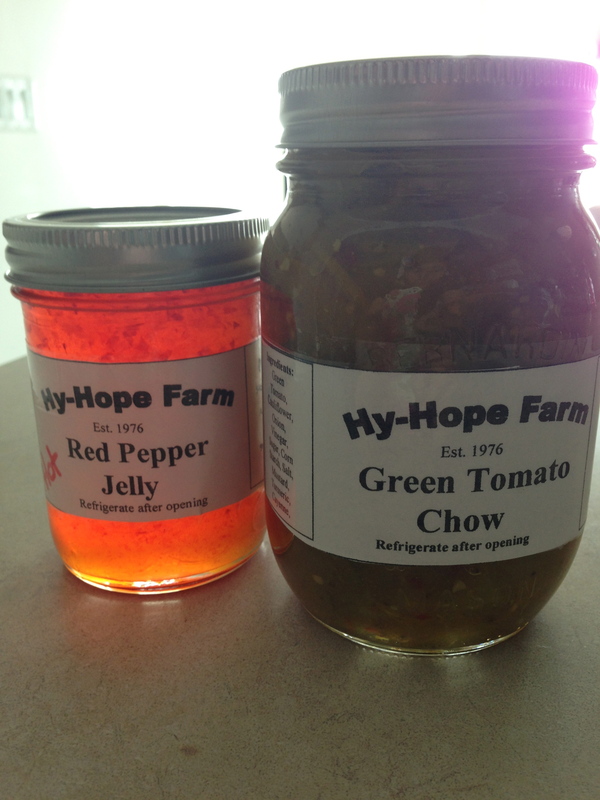 Homemade jars of relishes and jellies by Hy-Hope Farms! 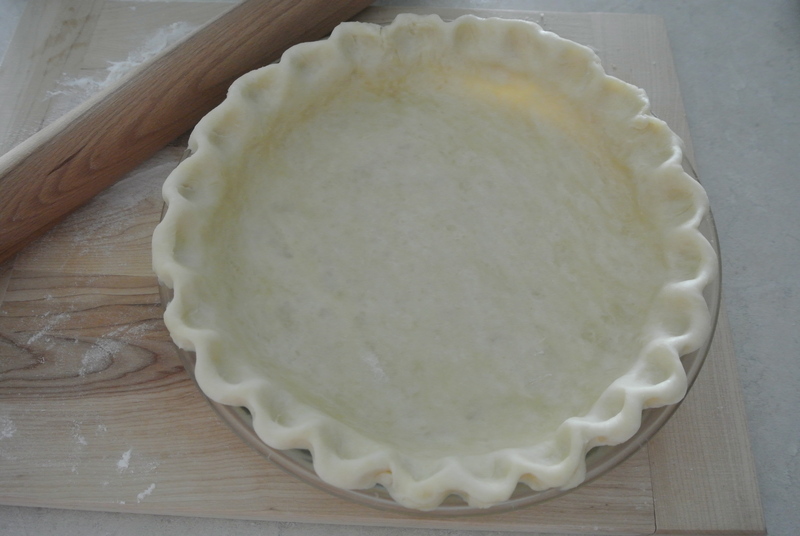 My crimped homemade pie shell ready to be filled. 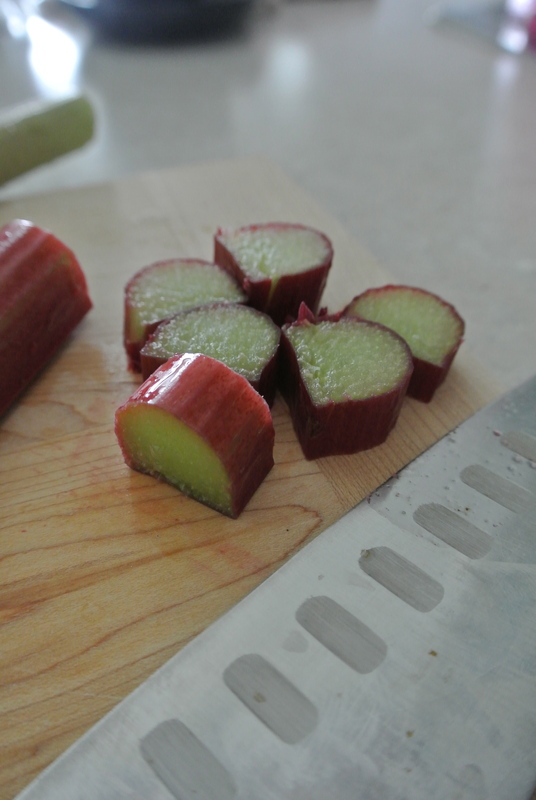 Fresh cut rhubarb from my colleague S’s backyard garden. 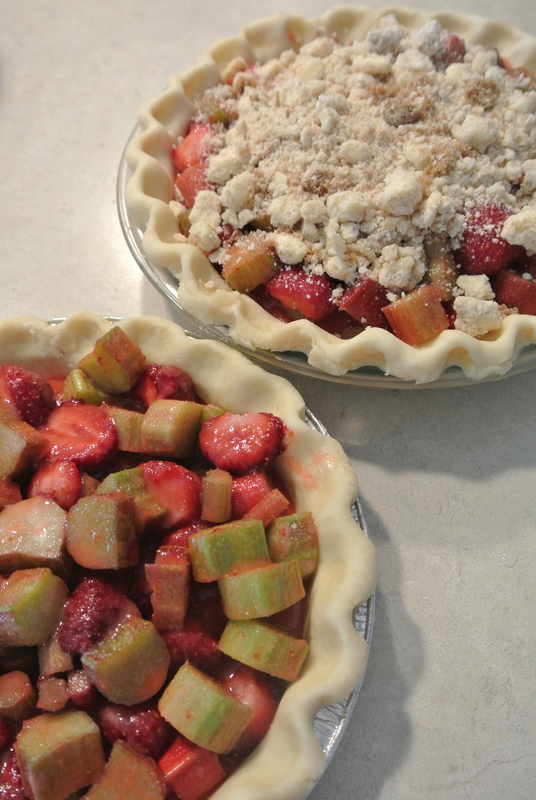 Strawberry rhubarb pie filled and then topped with a sweet crumble topping before going into the oven. Fresh out of the oven, my strawberry rhubarb crumble pie! 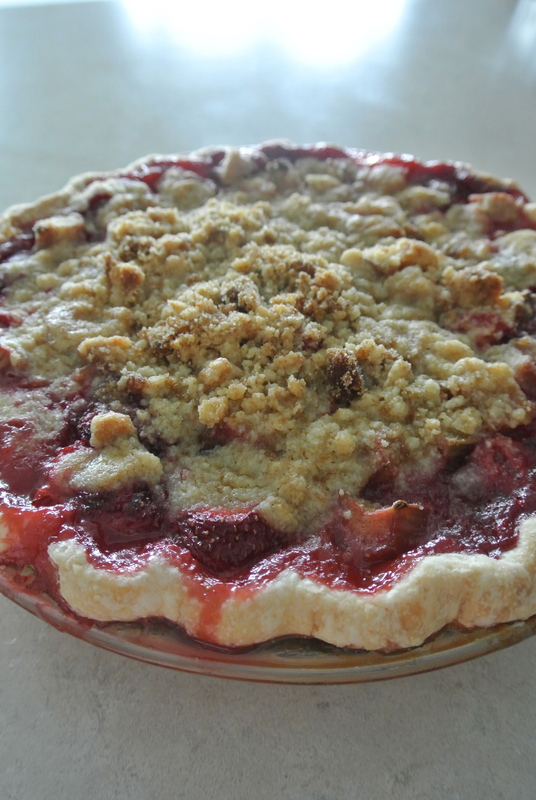 A close up look at my strawberry rhubarb crumble pie! Perfect way to use strawberries!